The Kentucky Debry has long been one of the biggest betting events in the U.S. Now some Bluegrass State lawmakers want to expand those options to a much wider range of sports. With multiple states already passing sports betting legislation or poised to do so, a bipartisan group of Kentucky legislators has announced plans to introduce a bill that would legalize and regulate bets on individual sporting events. 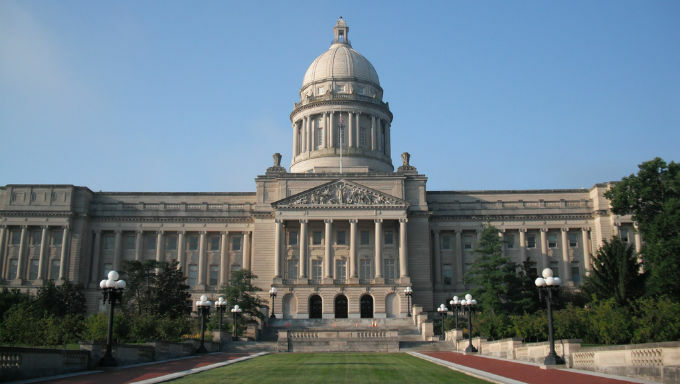 According to reports from the Daily Independent, a group of nine lawmakers hope to have a bill ready to go when the Kentucky General Assembly convenes in January 2019. Though Kentucky is one of only a few states without any casinos, it has a long history of betting on sporting events through the state’s ties to horse racing. It is also a hotbed for men’s college basketball, with two of the nation’s premier programs in the University of Kentucky and the University of Louisville, which would be one of the sports legalized with gambling expansion should legislation pass. In interviews, lawmakers said there are still a lot of significant details to work out, but the bill will most likely extend to professional and collegiate sports but would deny wagers on high school sports. Initial discussions include a 12 percent tax on sports wagers, but that is also subject to change. Any legislation would need a boost from Gov. Matt Bevin, who maintains opposition to casinos but isn’t opposed to sports betting at the state’s racetracks, according to the Independent. He also filed an amicus brief in support of New Jersey and its lawsuit to overturn the federal ban on sports betting, indicating his support should legislation come to his office. If Bevin signs the bill into law, Kentucky lawmakers project it could garner up to $30 million in annual state revenue. With neighboring West Virginia nearing its first legal sports bet, government officials are undoubtedly aware of the revenue opportunities that could be lost if the Bluegrass State isn’t proactive in its actions. Along with a steady change in public approval in support for gambling in the United States, the Supreme Court’s decision pushed wagering further into the cultural mainstream. This growing public support in Kentucky and across the nation is a significant change from just a few years ago, especially in Frankfort. House Speaker Pro Tempore David Osborne filed sports betting legislation contemporaneous with New Jersey’s initial legal challenges that would eventually overturn the sports betting ban. Osborne’s bill didn’t gain traction. One issue at that time were concerns from the influential horseracing industry in Kentucky, which was worried about betting on sports like football or baseball could take away from revenue from the track. But according to recent reporting, attitudes have changed and industry stakeholders believe it could bring more people than ever to the tracks. The Kentucky Horse Racing Commission, which regulates the industry, will assuredly still have a role. Though a bill filled earlier in the session that would give the KHRC oversight authority didn’t receive a vote, the organization will have a role in legislative discussions. Kentucky is working through its own competing interests, much like a group of other states that have advanced gambling legislation. While Delaware and now New Jersey are already taking bets, other states are coming more slowly. California, the largest state in the nation by population, is the most high profile, but the Golden State is foreshadowing complications Kentucky may experience as multiple gambling industry stakeholders are competing to give their input on fledgling legislation. New York is another high-profile state also working through its own laws, garnering the attention of millions of residents. While these two densely-populated states weigh gambling expansion, more and more states will ready their sports betting laws. It appears Kentucky could be among them, sooner than later.